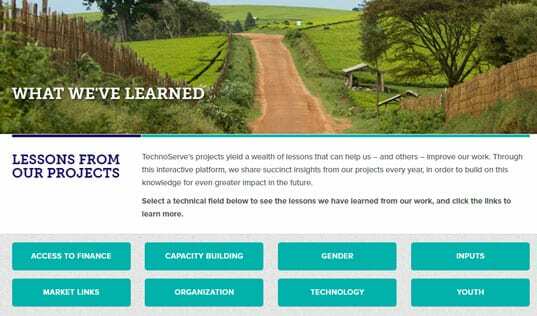 The Kellogg Company and TechnoServe are helping smallholder farmers increase yields of wheat, soy, and other food crops for a more profitable and food secure future. With support from TechnoServe and Kellogg, more than 12,000 farmers are learning to grow healthier harvests of food crops. Around the world, 1 in 9 people go to bed hungry every night. In Sheopur, India, Mahabir Lal worked hard to grow two crops – rice and wheat – on his small farm, but he still struggled to make a profit and to provide for his family. Cultivating these two crops was typical of Mahabir’s village, and due to the short fallow period from February to March, incorporating a third crop into the growing season was unheard of, despite the need for additional income and nutritious foods. As part of its global signature cause program, Breakfasts for Better Days, the Kellogg Company is committed to securing a sustainable and more accessible food supply. TechnoServe is partnering with Kellogg to implement a program in Madhya Pradesh India that helps smallholder farmers increase yields of wheat, soy, and other food crops by providing training in cost-efficient, climate-smart farming practices, and by enabling improved access to markets for these crops through Farmer Producer Companies. 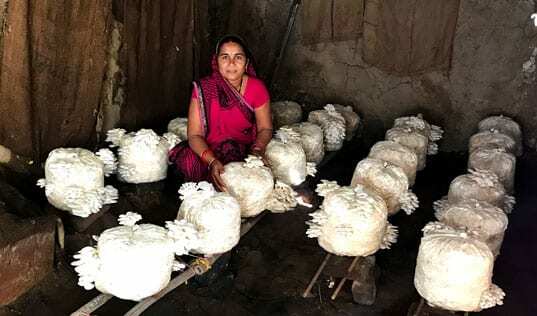 When TechnoServe came to a meeting of the village’s producer group in Sheopur to present the idea of incorporating another food crop on local farms, many farmers were nervous to take the plunge. With their current profits just barely allowing them to provide for their families and keep their farms running, almost any investment seemed too great a risk. 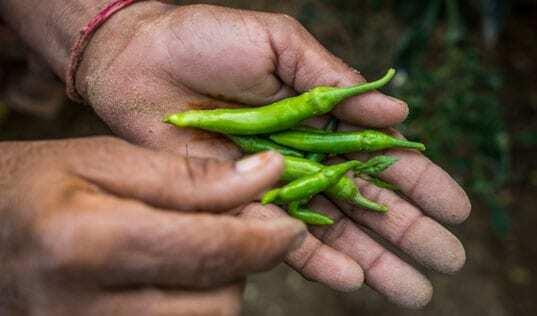 Through the program, Mahabir and his fellow farmers were connected with quality seed and provided technical training on the new crop. Mahabir, however, was determined to create a better life for his family, and after consulting with TechnoServe’s technical experts, he joined the program. Working with Mahabir, TechnoServe staff identified an opportunity to cultivate green gram, also known as mung bean, to the farm from February to March. Mung bean is a short duration crop that requires little water, and could therefore thrive on residual moisture left in the soil after the wheat harvest and provide a new harvest in the short fallow period on Mahabir’s farm. Through the program, Mahabir and his fellow farmers were connected with quality seed and provided technical training on the new crop as well as simple, cost-effective methods to capture groundwater, such as building bunds from soil and rock. Mahabir followed these new techniques throughout the various stages of crop growth, and by March he was harvesting 800 kilograms of nutritious, protein-rich mung bean, which he could not only process and eat at home, but which he also sold at a profit of 20,000 Indian Rupees, or $300. With increased income from the production of additional food crops, participating farmers are cultivating a more food secure future for their families and communities. With this new source of income, Mahabir was able to send his daughter to high school in the nearby town of Sheopur, and he has saved 20 kilograms of seed from this last season so that he can plant mung bean next year as well. With support from TechnoServe and Kellogg, more than 12,000 farmers like Mahabir are learning to grow healthier harvests in order to build a more sustainable and secure food future for their families. Read more about TechnoServe’s work to create lasting solutions that boost food security around the globe.